FACEBOOK LIVE: Michael Shacklock & Dr Phillip Snell! Go To:Michael Shacklock or Dr Phillip Snell to see the discussion. - where do we stand and how do we work it all out? NOTE: Log In/Register above is only available to pre-approved members. 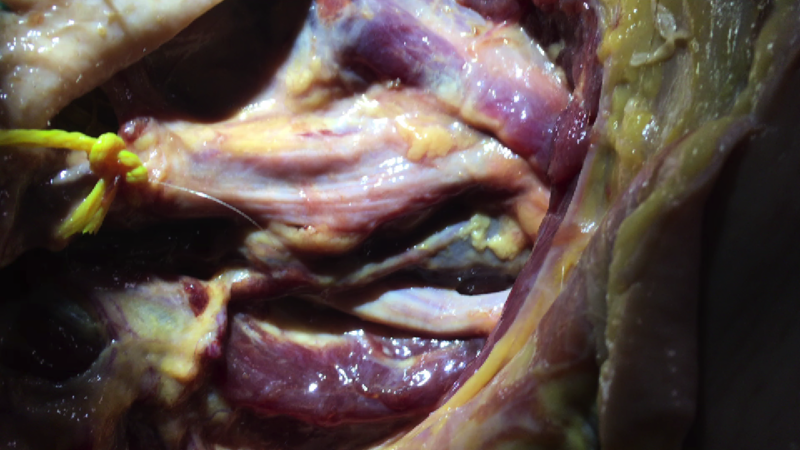 Sural neuropathy after tendon surgery. NEW LEVEL 2 NEURODYNAMICS COURSES NOW AVAILABLE! 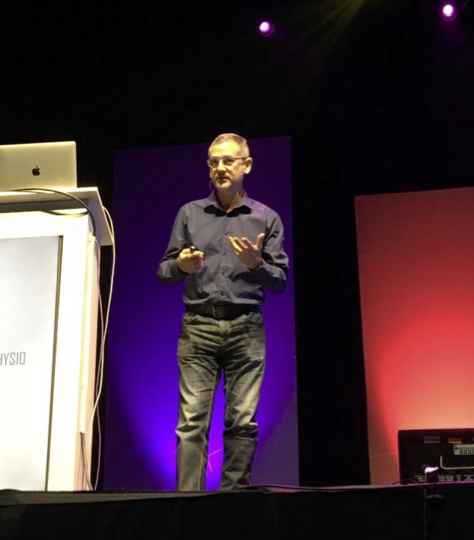 - more nerves, more advanced concepts, easier to reason with new CR model, multidimensional integration with MSK. Michael Shacklock and NDS Neurodynamic Solutions are very pleased to announce that we are now providing courses for more advanced practice in Clinical Neurodynamics. NEW! - TAKE A LOOK! ​USA advanced courses open now! #nervefact 10 - nerve extensibility is NOT dependent on the connective tissue of the nerve - why? NEURODYNAMICS: Does Neural Mobilisation work? WATCH THIS. Contralateral nerve root mobilisations. Part 1. Do Nerves Get Stuck? Part 3. Integrate the Evidence. 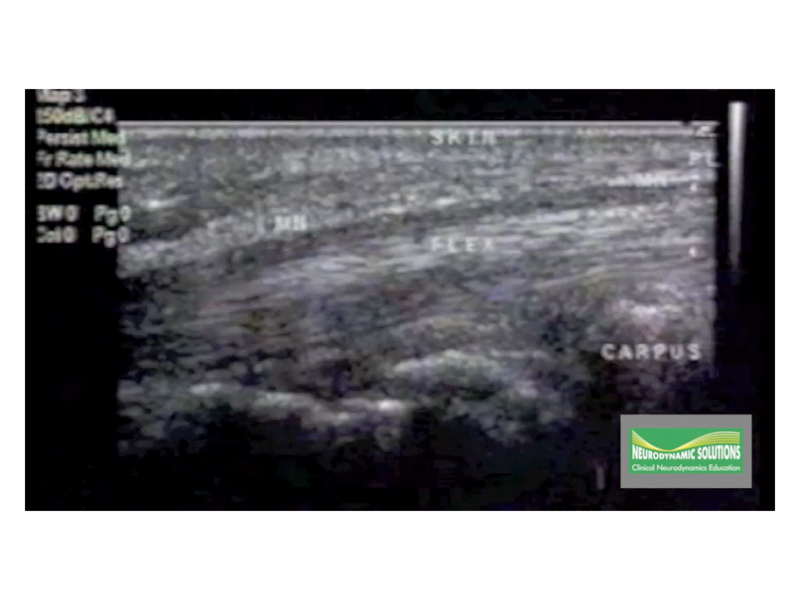 See specific movement of nerves with ultrasound video. ​Interested in hosting a course? Click here. The world's most comprehensive neurobiomechancs book by Dr Alf Breig and Shacklock's best seller, Clinical Neurodynamics continue. 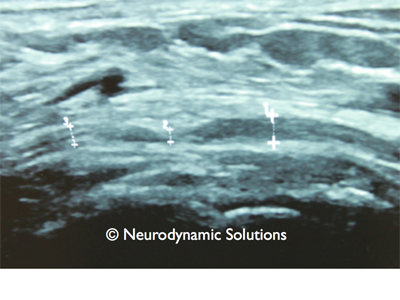 Medial calcaneal neuropathy as seen with diagnostic ultrasound.